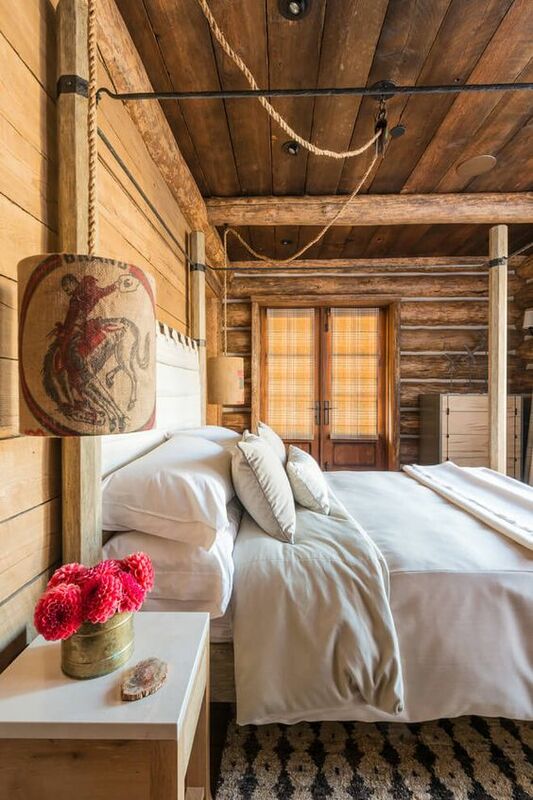 Here is a simple, yet tasteful Rustic Cabin Guestroom. It features some creative lighting elements that accent the classic four poster bed. The bedding is plain white, but if it was anything else, it would take away from the simplicity of the space. 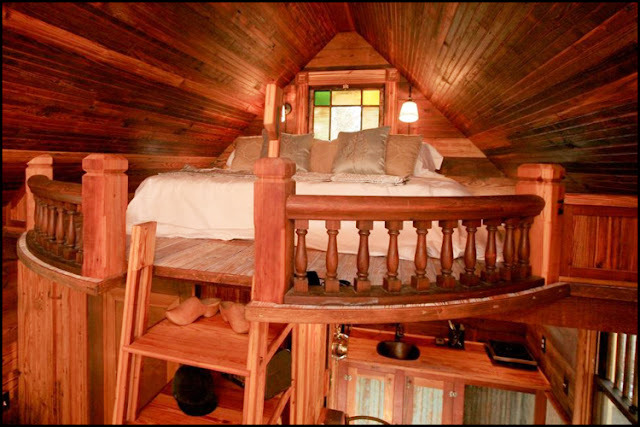 The rug is also a nice touch, as cabin floors tend to be cold and drafty.